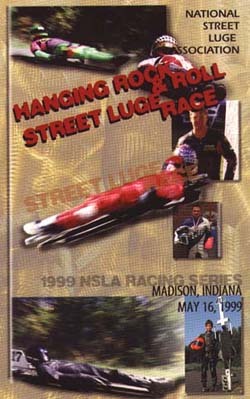 Michael made & distributed this really cool brochure to riders and spectators. 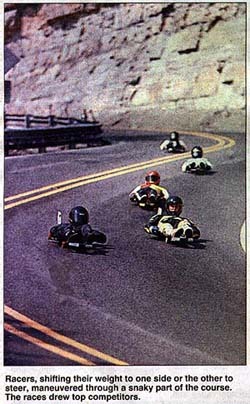 This photo (taken during a practice run) is from a local Louisville newspaper. 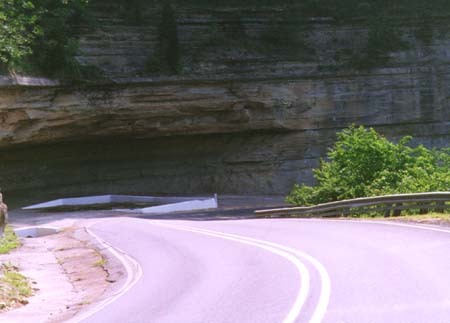 This is how Hanging Rock hill got its name. Had a waterfall and all. Michael giving us the rundown of the days events. 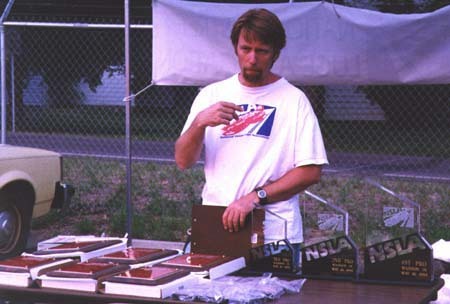 He outdid himself on the medals, trophies and plaques again. 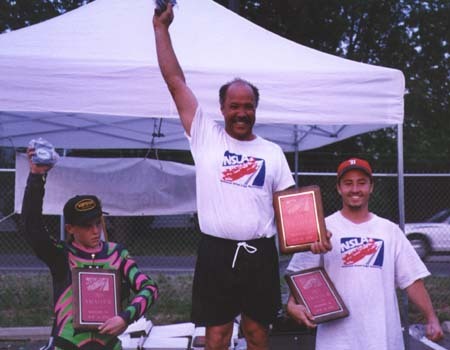 Official Pro class finish Tripp 1st, Beagle 2nd me 3rd. I had another fairly successful outing. 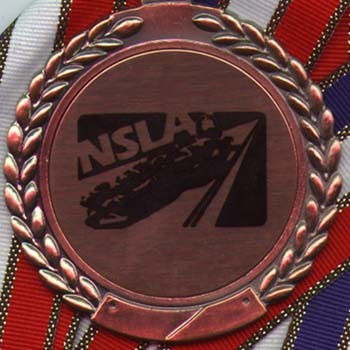 Finishing 3rd and receiving an additional 30 NSLA series points. 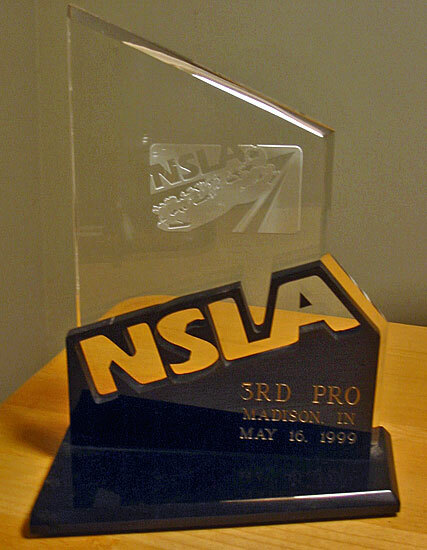 Michael makes the coolest trophies for the podium finishers in the pro series. 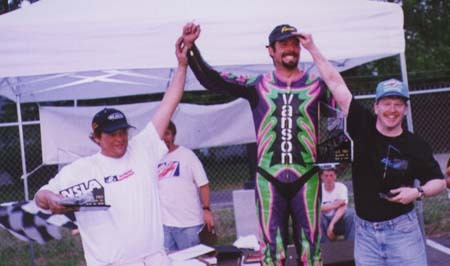 Amateur class finish - Anderson 1st, Gilmore 2nd and Glasscock 3rd. My high school friend Sue & her family Galen & Matthew showed me around Louisville. 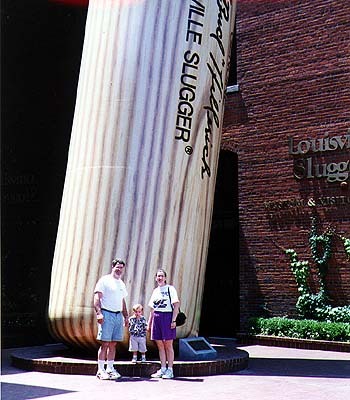 Our 1st stop was the Louisville Slugger museum were they make the official bat of Major League Baseball. 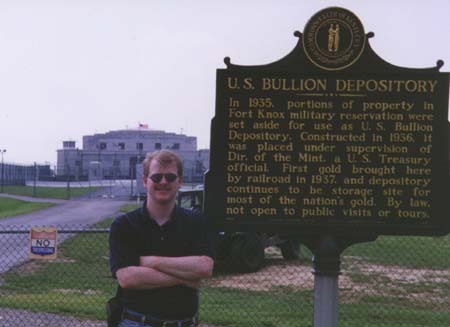 My last stop was the gold depository at Fort Knox. The place is closed to visitors and the guards in the humvee were not amused.